The Rogue Commute Challenge allows workplaces to team together and compete against other local workplace teams to see who can log more walking, biking, carpooling, transit, or telecommute trips and earn glory by being named King of the Rogue Commuters! This fun competition is a great way to learn more about your commute options, earn prizes, get healthy, reduce your carbon footprint and build camaraderie with your co-workers all while competing to have your workplace win the Rogue Commute Challenge! The Rogue Commute Challenge is free to participate in, workplace teams will be given everything needed to promote the challenge to co-workers. Each team member will receive a free Go Kit with free items to help them participate. Sign up your team today! See what participants have to say about the Challenge! Find out everything you need to know about the 2018 Rogue Commute Challenge! How to Join. Why to Join. Ready to take the next step? 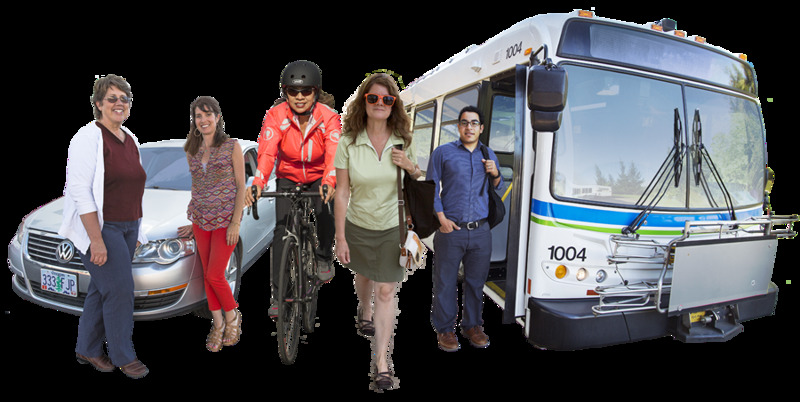 It's easy to sign up your workplace and order your FREE Commuter Kits!